Leader of the Islamic Revolution Ayatollah Seyyed Ali Khamenei says the lack of spirituality and divine values is behind the rifts, shortcomings and frailties of the Western civilization despite its great materialistic advances. 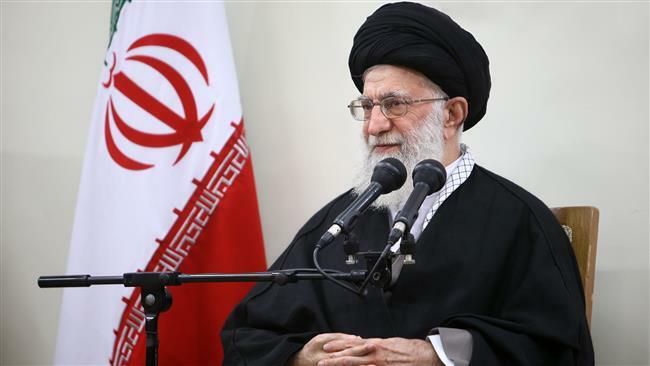 Addressing a meeting with a group of top Iranian students in Tehran on Monday, Ayatollah Khamenei underscored the importance of commitment to religious values and the Islamic Revolution’s ideals alongside scientific efforts. Scientific progress by itself will fail to bring prosperity to a country and nation but scientific advances must be accompanied by supreme spiritual values in order to prepare the ground for managing the country’s affairs and turning it into a model for the region, the Muslim community and the world at large, the Leader said. Ayatollah Khamenei cited moral, intellectual and practical deviations, the collapse of family institution, increasing violence, moral corruption, suicides in Western societies, particularly in the US, as results of the dearth of spirituality and divine values. The Leader noted that some American scholars and intellectuals explicitly admit that these immoral acts and afflictions are rampant in their country. The Leader stated that serious attention to religious and divine ideals and commitment to the values of the Islamic Revolution are necessary for a real progress in Iran. The Leader also pointed to increasing violence and deadly shootings in the United States and stated that murder and the spread of arms use have turned into a “serious problem” in the country. This problem can be solved through the prohibition of the use of firearms by the citizens of the country, the Leader said. Ayatollah Khamenei added that American officials, however, do not dare outlaw the use of guns due to the high influence of firearms manufacturing companies inside the country.